SUMMERTIME is here. With a lot of people looking and finding ways to look better and make themselves fit into their summer beach outfits and having their skin tanned a little but then of course people tend to be conscious of their bodies. I am not spared of this even if I carry some excess pounds on my body I am still hopeful of losing anyways and being in my top form a few years ago. I was 186 lbs and losing the extra weight was a big problem for me. It became a constant battle of keeping myself healthy and active because the current lifestyle I had that can affect my health in general. I never thought that I would still lose this extra pounds and flabs due to the fact that I became accustomed with the sedentary lifestyle I had for the past few years since—not grasping a single sports after college, eating too much junk and fast foods plus not doing enough physical activities except for some badminton games with my younger sister during free time but was to lazy with it. I just felt sorry for myself of neglecting my physical well-being and being swamped with work plus becoming a total couch potato and watch TV all day or sit in front of a PC playing Facebook Game applications or chatting with friends. But all is not loss at all if I wanted to regain my old self again. The badminton game and once in a blue moon jogging back in 2011 was not enough for me because I made it a mission to finish the combat and try to reach my goal of 160 lbs or roughly 73 kilogram (target weight) in the coming months up to December of this year. It was tough decision for me, but if I put my mind into focus I could surely achieve it. Watching what I eat was dreadful! At times but I still need to maintain the ideal weight wherein I am at 178 lbs (current weight) but in order to achieve the 160 lbs (target weight) I need to exercise, go on a diet program and participate more in heavy physical activities in reaching my full potential weight loss. I do envy my friends, family and office mates on what they eat in which I am accused of depriving myself of those junk foods or fast foods or chocolate candies or ice cream that are my weaknesses. 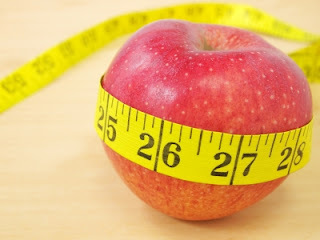 The economical cost of losing weight is greater than gaining it? On hindsight, it is easy for me to gain a lot of weight just by eating too much of the wrong foods but losing weight is a struggle for me. Buying the right and wrong food is both cheap and costly at some point in which junk foods are more readily available at price ranging below P25 or lower for locally manufactured ones to imports from the USA and European countries which cost P60 to P100. Eating the nutritious foods from fruits to vegetable is costly however the benefits are high if you choose the more nutritious food and snacks readily available in the market. But still a lot of people are very conscious with their body in order to keep them fit and healthy. Perhaps introduction to the world of sports would be better to keep yourself sweating and being competitive at all times. I am not an exercise or weight loss guru but I can share some excellent inputs on sports or physical activities you can do at home or at the gym/sports club near you or with friends. But still you still need to seek medical doctors’s advise if you have health issues or concerns that is restraining you from doing this activities. Sports is both physical, mentally and emotionally beneficial for all. Try it. A lot of people are asking why I am doing this. It is plain and simple, I am doing this for myself. My secondary objective is maybe impress someone (a lady I am seeing) but my primary goal is to keep myself happy, feel better and eventually fit on my old clothes especially my suits if there arising occasions that I needed to wear them and at the same time show my summer body look. Being fit helped me to run again in the recent 3 kilometers events or play football (soccer) in the upcoming tournaments in the province or elsewhere where I will be participating in the later months of this year. The new me gave me more energy in fulfilling things such doing household chores not only that I extend my longevity. The mere fact of losing weight and seeing your new body in the mirror is very quite thrilling and it does boost self-confidence in you as a person as you become more energetic and outgoing person. Benedict Baluyut is a registered financial planner of RFP Philippines. Learn the Essentials of Personal Financial Planning and get certified at 28th RFP program from July 21 to September 15. For more details, visit www.rfp.ph or e-mail info@rfp.ph.